The Christopher Hunt Practice (CHP) - Conditions of Engagement. Before engaging the services of CHP, ensure you have read and understood the following conditions of engagement. If you have any queries please feel free to ask. 1.1 CHP reserves to right to revise any part of our terms and conditions at any time. 1.2 “the Member” is a Chartered Architectural Technologist and a Member of the Chartered Institute of Architectural Technologists. 1.3 “the Client” is a home owner/occupier/contractor who commissions services from a Member. 1.4 “the agreement” means the agreement between the Member and the Client including these Conditions of Engagement. 2.1 The Member will provide the Client with a list of services to be provided by the Member and the Member and the Client will agree the services and any specific quality standards to be provided by the Member. 2.2 No services will commence until after 7 days from the receipt of the signed agreement / quotation and payment of the deposit where applicable is received by the member as cleared funds. 3.1 The Client will provide a clear explanation of the project and any relevant information the Member needs to carry out his services. 3.2 The Client will provide the Member with clear information about the Client’s budget and required time scales for completion of the Member’s services and the project. 3.3 The Client shall appoint any other professional specialist services whose fees shall be separate from, and additional to, those charged by the Member. The Member shall not be responsible or liable for the work of those other professional specialist services. 3.4 The Client will be available at all reasonable times throughout the project in order to give prompt consideration to the Member’s advice and the Member’s queries and to provide prompt responses. 3.5 Where the Member is acting as contract administrator under the building contract, the Client will not impede or interfere in the Member’s communication with the building contractor nor in the giving of instructions to the building contractor nor in the provision of certificates issued by the Member. 4.1 The Member will advise the Client regarding a realistic timetable for the implementation of the project and shall inform the Client of methods to ascertain the estimated costs of the building work. 4.2 Where the Member considers other consultants, specialist contractors or sub contractors are required to undertake part of the design work, the Member shall advise the Client of this requirement. 4.3 The Member shall integrate into the design for which he is responsible the designs of the other consultants, specialist contractors or sub contractors . 4.4 The Member, if specifically instructed to do so by the Client, shall make such periodic inspections of the building works as he considers reasonably necessary to check the progress of the works and to see that the building contractor is generally complying with the requirements of the building contract documents. 4.5 The Member shall not be responsible for the work of the building contractor nor for any failure of the building contractor to complete the building work in accordance with the terms of the building contract. 4.6 The Member shall act in a fair and impartial manner as between the Client and the building contractor, when administering the building contract. 4.7 The Member will act as the Client’s agent to apply for any necessary statutory approvals (such as planning permission and building regulations approval) but does not guarantee that such approvals will be obtained. Building work commenced before receiving statutory approvals will be entirely at the clients own risk and the member will not be liable for any additional costs incurred. 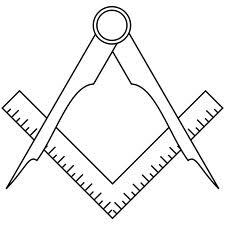 4.8 The Member shall carry out his duties and obligations and provide the services with reasonable skill and care. 5.1 The amount of the Member’s fee and dates for invoicing the Member’s fee shall be agreed between the Member and the Client. 5.2 The Client shall pay the invoiced fees within 14 days of the date of the Member’s invoice, unless otherwise agreed. 5.3 The Member’s fee shall not include VAT which shall be charged to the Client in addition to Member’s fee, if the Member is registered for VAT. 5.4 The Member’s fees shall not include local authority fees or charges associated with statutory approvals and other professional or specialist services. 5.5 The amount of any expenses (including but not limited to printing, photography, hotels, travel and subsistence) to be charged to the Client in addition to the Member’s fee shall be agreed between the Member and the Client. 5.6 A Member shall be entitled to charge interest on any fees that are unpaid after the agreed date for payment. Interest shall be charged at 5% above the Bank of England base rate from time to time. 5.7.1 Any increase to the services will entitle the Member to charge the Client an additional fee. 5.7.2 Any reduction to the services will entitle the Client to a reduction in the Member’s fee. Such reduction shall be provided in writing by the Member and agreed between the Member and the Client as soon as possible. 5.8 A deposit will normally be required to engage the services of the Member. Once the deposit is paid along with the receipt of the signed agreement / quotation to engage the services of the Member, the Member will be unable to offer a refund. 6.1 The copyright in all designs, drawings, reports, models, specifications, bills of quantities, calculations and any other documents prepared by the Member (“the Documents”) shall remain vested in the Member. As long as the Member has received the payment of any fees properly due and owing, the Member grants a licence to the Client to copy and use the Documents for the purposes of the project only (excluding any extension of the project). The Member shall not be liable for any use of the Documents for any purpose other than that for which they were prepared and provided by the Member. 7.1 The Member shall have no liability to the Client under the agreement after the expiry of six years from the completion of the services. 8.1 Either the Client or the Member may terminate the agreement by giving the other fourteen days written notice of termination of the agreement. No reason needs to be given for terminating the agreement. 8.3 Upon termination of the agreement, the Client will pay the Member’s fee for those services provided up to the date of termination of the agreement. There will be no refund of any deposit paid. 9.1.1 The Client or the Member can start Court proceedings. 9.1.2 The Client or the Member can refer the dispute to the Chartered Institute of Architectural Technologists’ Dispute Resolution Scheme which is run independently by the IDRS, a subsidiary of the Chartered Institute of Arbitrators. 10.1 The laws of England and Wales apply to the agreement. Cancellation of Contracts Made in a Consumer’s Home or Place of Work etc. Regulations 2008. In accordance with the above Regulations, if the Conditions of Engagement agreement has been signed in the client’s home or place of work, the client has 7 days cooling off period from the date of signing in which the agreement can be cancelled.